Although he does not currently have any high profile primary challengers for the California Assembly's 9th district, Assemblymember Jim Cooper has continued to raise money for his campaign war chest. According to information culled from the California Secretary of State and compiled by ElectrionTrack.com, in the one month period ending January 31, Cooper raised an additional $17,600. As reported by ElectionTrack, Cooper had $1,026,700 on hand as of December 31, 2017. 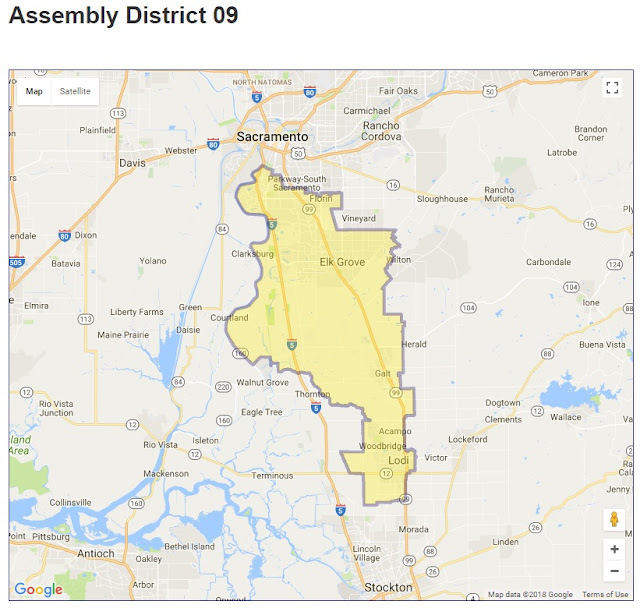 ElectionTrack list Cooper's opponents as Harry He of Sacramento, probable candidate Mario Garcia, and no Republican challengers. He is reported to have raised $21,205 while there are no reports for Garcia. The district is considered a safe Democratic District with 61.5-percent of the 2016 presidential vote going with Hillary Clinton. In the 2014 and 2010 gubernatorial elections Democratic Governor Jerry Brown received 63.3 and 58.1 percent of the votes. No Comment to " Cooper Brings in $17,600 in Contributions, Assembly Reelection War Chest Tops $1 Million "